Sew…this is the prototype for my new downloadable sewing pattern design (coming VERY SOON to SewThankful.com). Sew Sharky! 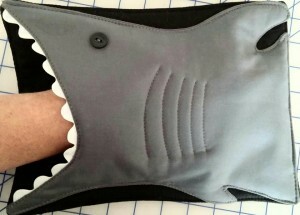 is a shark hot pad with a pocket mouth for your hand to wear him like a mitt. He will look awesome sitting on your table, waiting for a hot pot of food to rest upon him…or, hanging on the wall of your kitchen. 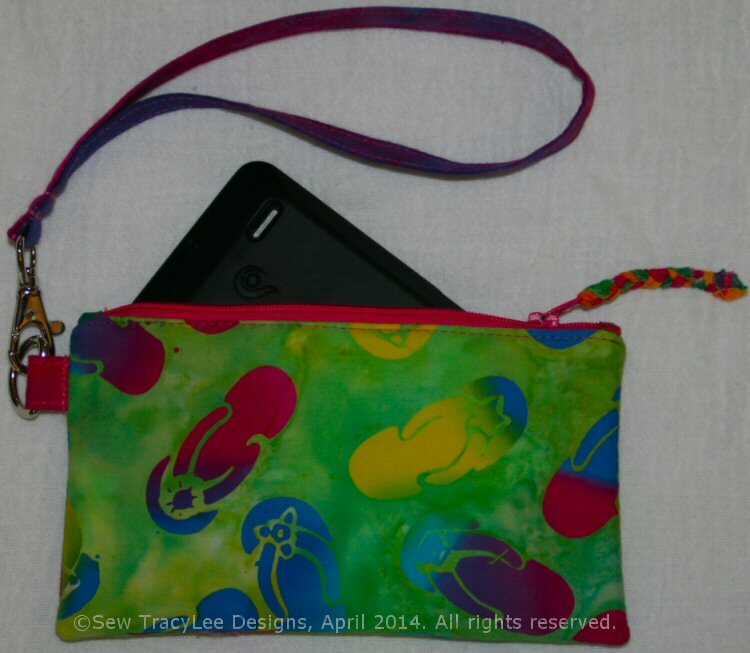 Sew Sharky is a Sew TracyLee original design! I’ve got just a couple minor tweaks to make (mostly in the instruction/editing process), but I like him quite a lot. What do you think? A dear friend from Jr. High School was my inspiration. She loves sharks. LOL. This one will be a great one for any shark/ocean lover in your life. Are you looking for an outstanding pattern to make placemats that FEEL professionally made? This is the one you want! Make placemats come out the perfect weight and thickness. They’re not too puffy and not too wimpy. 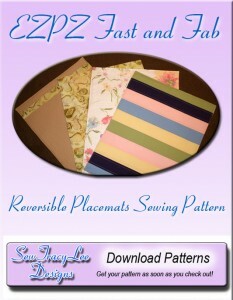 EZPZ Fast and Fab Reversible Placemats sewing pattern includes instructions to make 3 styles of reversible placemats (mix or match as you desire). 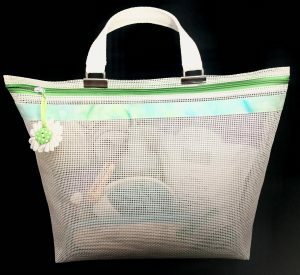 Finished size is approximately 14.5″ x 18.5″. 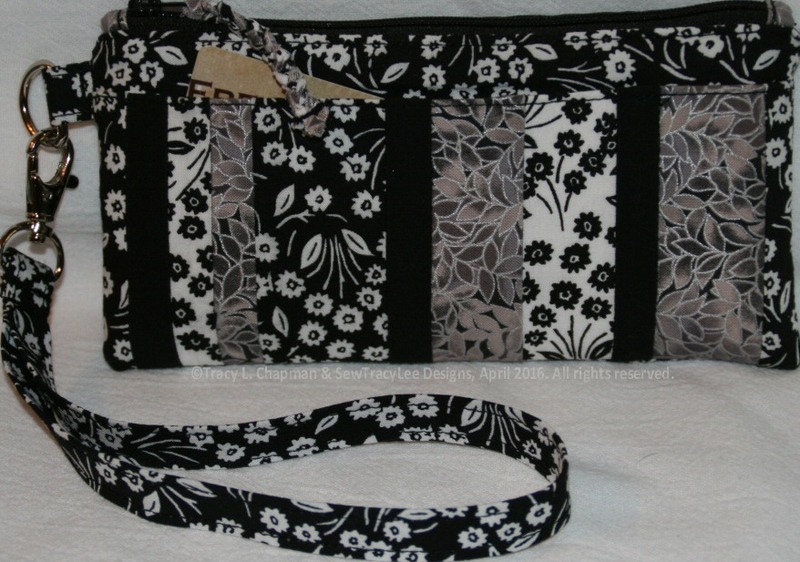 • FAST—No pattern pieces to trace or cut; use your rotary cutter, ruler and mat to cut your fabrics FAST! Plus, NO BINDING on this project! • EASY to make—Step-by-step instructions guide you all the way through the construction process. Lots of pictures plus Tracy’s tips and hints help you achieve a professional result. • REVERSIBLE—Enjoy twice the style in each placemat. Mix and match front and back panel styles. 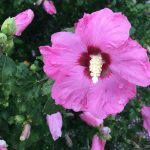 • FABULOUS—Not too puffy, not too wimpy. These placemats lay smooth and flat with a classic sense of style and grace. Feel the quality of your work… fabulous. 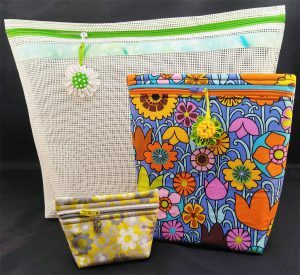 This is a downloadable pattern so you receive it right after you check out of the shopping cart! YOU SAVE TIME and YOU SAVE MONEY on shipping! Like to make great gifts for not a lot of money? You probably have everything you need right now. Unlimited Options! Use this pattern as a teaching tool or use it as a canvas for your own creative style. Practice new techniques and have a useful item to show off when you’re finished. 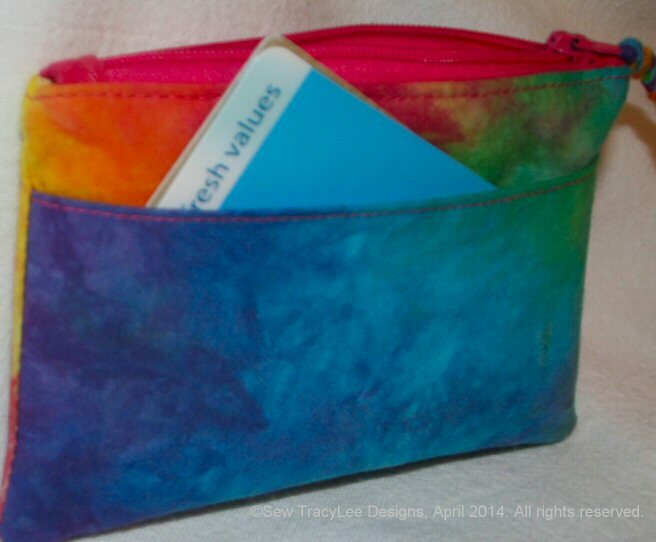 Click here for more information on this awesome pattern from Sew TracyLee Designs!